Colors are white background with the Azerbaijan flag and the International Identification black letters AZ in the left corner of the plate. 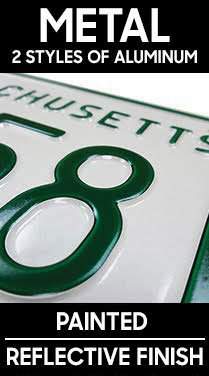 The decal is embossed for detail. Your custom number is painted in black. 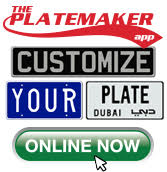 We recommend our Universal plate holder for easy installation. The universal plate holder is sold separately. Dimensions are 4.38 inches high x 20.44 inches wide. Metric Dimensions are 110mm high x 520 mm wide. 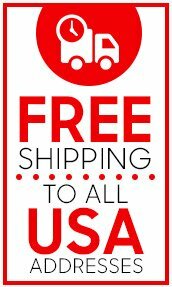 Free Ground Shipping to all U.S.A. addresses. 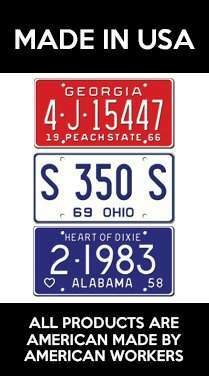 PRODUCT USE: All license plates marketed by Autogeardepot.com, Inc. and LICENSEPLATES.TV, are sold as novelty and not for official use items. 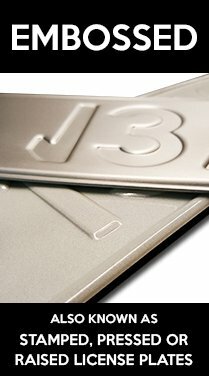 Henceforth, none of our replica license plates may be used in lieu of county issued, state issued, country issued or officially (government) issued license plates. 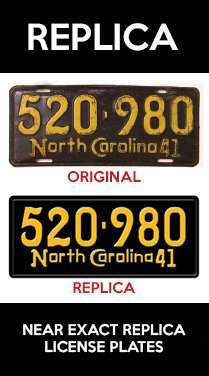 The license plate replicas manufactured and marketed by Autogeardepot.com, Inc and LICENSEPLATES.TV are similar but may not be identical to originals (officially issued) due to different materials, colors/hues and character type styles used. 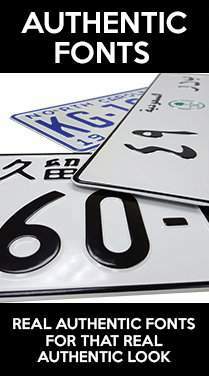 You are wholly responsible to ensure that the license plates purchased from this site will not be used in a way so as to violate county, state or country statutes. Autogeardepot.com, Inc, LICENSEPLATES.TV, our suppliers and licensors are not responsible for legal violations that may arise from the use of products marketed on this site. Thanks again. The plates came out awesome!! received my plates today they look just the way I EXPECTED.,thanks for a fast job and perfect appearance. I wanted everyone to know what a wonderful experience I had ordering from your company. The quality and workmanship you put into this tag is impeccable. I am tickled pink how good it looks on the front of my 2009 Mini Cooper Clubman S.I had a lot of questions about the tag from people at the car show yesterday. In case anyone wonders about the name "MAURICE BG", this is in honor of Maurice Gibbs, from the Bee Gees, who passed away a few years ago. The color of my car is British Green hence the BG so it wasnatural to name it after Maurice. Thanks again. I will be ordering another tag soon for my husband's classic Lincoln. I just received my british plate (1958 MGA) and it is a work of art. Thank you.